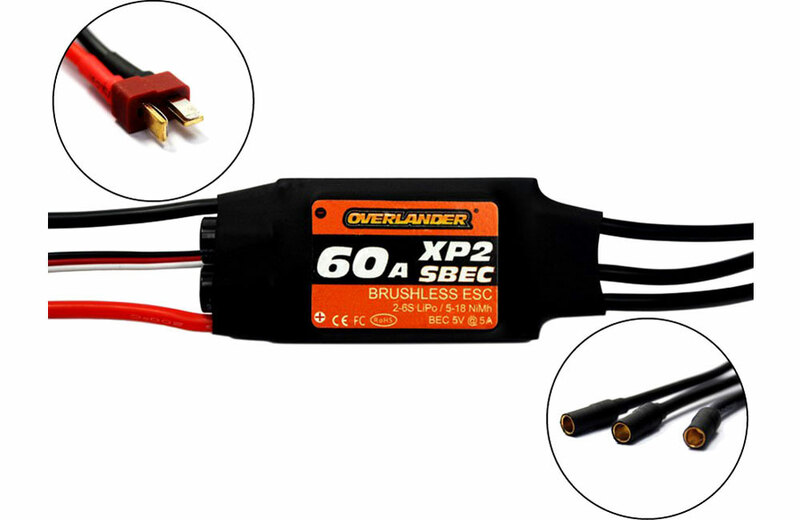 All Products > "2721 Overlander XP2 60A SBEC Brushless ESC"
Overlander XP2 60A SBEC Brushless ESC - RTF Speed Controller READY TO FLY! - Now fitted with Deans connector for the battery and 4mm gold connectors for the motor! • Full protection feature including low voltage, over-heat, throttle signal lost, startup protection and self-check. 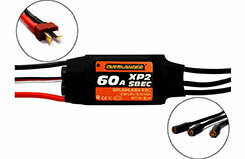 • Compatible with most sensor less brushless motors. • Excellent startup performance, great throttle linear and quick throttle response. • Support highest motor speed 210,000RPM (2 poles), 70,000RPM (6 poles) and 35,000(12 poles). • Easy configured with program card. • System can automatically detect throttle neutral point. • 3 timing modes can match different motors. • 3 modes of start force adjustment.